New Wave rockers Duran Duran have been making music for roughly three decades. In that time, these Brit rockers have built audiences the world over, even after the band’s 1980’s heyday. With the release of its 2011 album, “All You Need is Now”, though, the band showed that even with thirty years since the release of its 1981 delf-titled debut, it hasn’t lost its fire or its audience. Now, the band has a brand new live release that will entertain its long time fans and evenbring in new fans. “Duran Duran Live: A Diamond in The Mind 2011” documents just one stop on the band’s 2011 European tour in support of “All You Need is Now.” Just as with the band’s new album, this concert proves that Duran Duran is still at the top of its game. This show offers so much to viewers. It boasts a largely high energy show throughout. Though there are some slower moments, too. The visuals incorporated into the live recording are another bonus to the show. And the general cinematography mixed in with the visuals will hold viewers from the opening notes of the show to the last. All combined, they make for an enjoyable show for fans of Duran Duran new and long-time. The show recorded here starts off showing the band as it preps for the show backstage. As subtle aqs it may be, there is a moment showing a woman recording one of the band members on an iPad. It really is a sign of the times. In the past, it would haev been a video camera or even DVD cam. It shows where recording technology is at today. From those opening preperatory moments, the band opens the show with the slow, moody, ‘Return to Now.’ As frontman Simon LeBon notes in the bonus interviews inclduded in the show, it is the perfect opener, especially considering everything that the band went through in 2011. Fans will have to watch the bonus features to get the full story there. From ‘Return to Now’, the band kicks things up. And the camera crews recording the event do an expert job of capturing the energy throughout the packed house. The energy and enthusiasm shared between the band and the audiences was obvious thanks to the camera crew’s work during the entire performance. Home viewers will be spellbound as the cameras catch every moment of the audience’s positive reaction to the band’s performance. It will make the entire show fly by, leaving those home viewers with the same sense of fulfillment that the audience must have felt after the concert ended. For all of the high energy songs and high tech special effects, there are some slower, more subdued moments such as in the classic, ‘Ordinary World.’ This song is slipped in late in the show as a means to give the audience a short break. That break gives the audience just enough time to catch its breath before the band kickstarts things again. From ‘Ordinary World’, the band gets the energy moving again with ‘Notorious.’ And of course, what Duran Duran show is complete without its signature breakthrough hit, ‘Hungry Like The Wolf’? That one’s here, too. So fear not Duran Duran fans. The band members note in the bonus interview included in the show that considering everything that it faced in 2011, the band is better than ever now. The band proved that to be true with this show. And after watching it, both long time and new fans will agree with that sentiment. 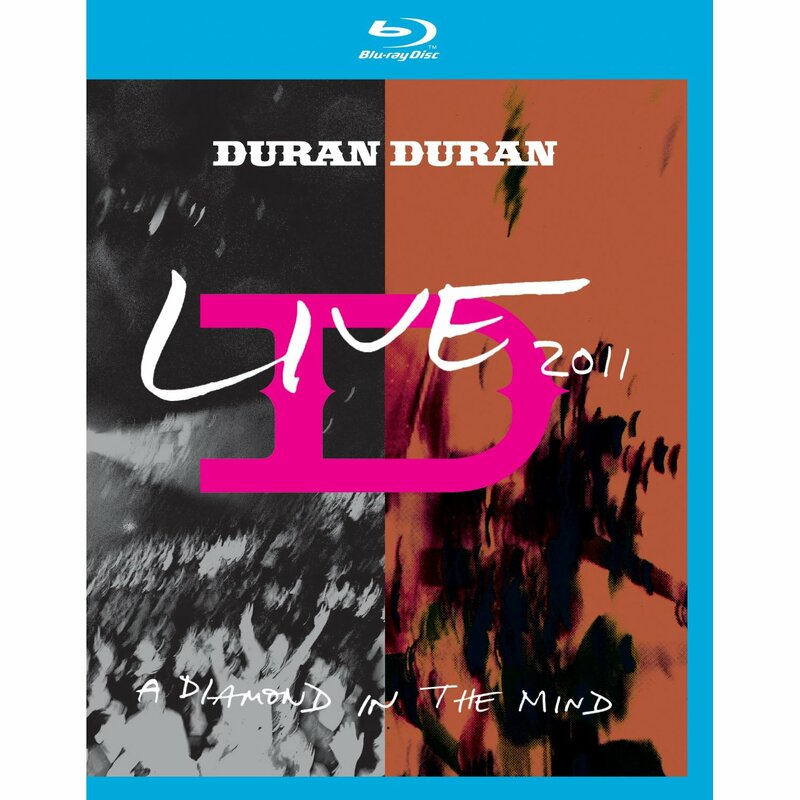 “Duran Duran Live: A Diamond in The Mind 2011” hits stores tomorrow, July 10th. It can be bought in stores or online at http://www.eagle-rock.com or at Duran Duran’s website, http://www.duranduran.com. Fans can also keep up with all the latest from the band there or on its Facebook page, http://www.facebook.com/duranduran, on Twitter at http://twitter.com/duranduran, and on Myspace at http://www.myspace.com/duranduran. To keep up with the latest entertainment reviews and news, go to http://www.facebook.com/philspicks and “Like” it or its companion page at http://www.facebook.com/pages/Reel-Reviews/381028148587141. Fans can always keep up with the latest entertainment reviews and news in the Phil’s Picks blog at https://philspicks.wordpress.com.